Nine launches a new observational series Ready for Take-Off later this month. The 8 part series turns the cameras on Qantas terminal, on the tarmac, in the air and the Integrated Operations Centre. It isn’t clear if the FremantleMedia production has been part-funded by Qantas. Nine previously produced the Qantas News for the airline until SKY News commenced a new contract earlier this year. The series follows the dedicated staff at the heart of Qantas who work around the clock and behind the scenes to keep the carrier in the air: pilots, cabin crew, engineers, trainers, caterers, ground staff and customer service managers. Ready For Take-Off is told through their eyes, with viewers getting a front-row seat in areas normally off-limits for one of the world’s great airlines. 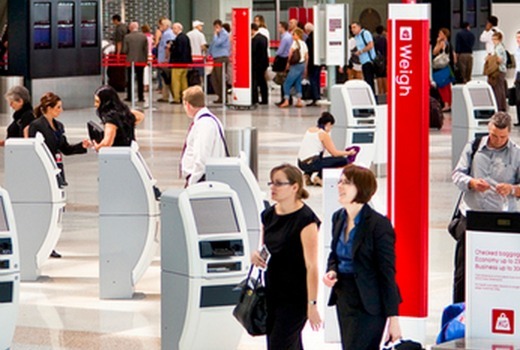 Watch as the crisis room comes alive when major weather events threaten to ground Qantas. Join the First Class hosts who fend off screaming fans as A-list celebrities land for a whirlwind tour. Go behind the curtain to discover what First Class is all about. And explore deep within the aircraft to see where the cabin crew sleep during long-haul flights. Walk in the shoes of the managers who trek 20,000 steps a day fighting the madness that is the departures hall, and get a sense of just how big a job it is to service an Airbus A380 engine. Cameras will be given unprecedented all-areas access, from the workers who empty raw sewage from the aircraft to the Integrated Operations Centre (IOC) in Sydney: the 24-hour, state-of-the-art hub at the heart of the international Qantas network. With over 200 staff, the IOC brings teams from all departments together in one room, and is the first port of call for any unfolding problem on any Qantas flight anywhere in the world. Fasten your seat belt, secure your tray table, put your chair in the upright position – and get ready to see Qantas like you’ve never seen it before. 7.30pm Friday, October 30 on Nine. Whilst I haven’t flown Qantas for years, this sounds interesting and I’ll probably give it a go. Sounds like a great 8 hour commercial for Qantas. I wonder how truthful the ‘ob doc’ series made by a company known for milking ‘reality tv’ formats and funded by Qantas will actually be? There’s only one thing more boring than the daily grind of flying around from airport to airport for a living, and that’s a Fremantle Media produced reality ‘observational series’ that will be a highly derivative mix of Airways with a dash of Border Security and Bondi Rescue. More boring and less informative than the flight information displays at the terminal.